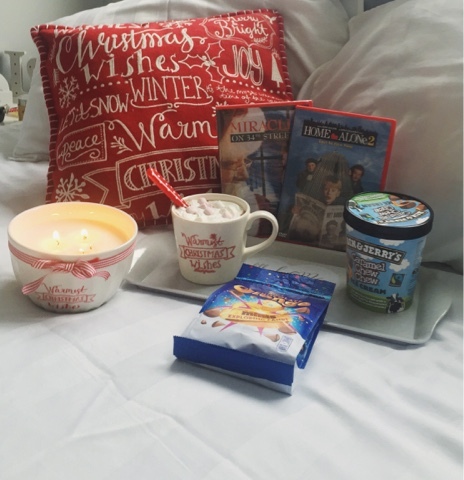 Christmas eve for me has always consisted of snuggling up on the sofa with a yummy take away and christmas movies, of course Home alone 2: Lost in New York is always one of those and today will be no different, I've pulled out a few Christmas films from my collection and will save my ultimate favourite and tradition till last. As for the morning I've been wrapping the last few bits, cleaning, baking and basically hiding away indoors from the chaos that is no doubt going on outside in the shops, one thing I never do is even go near a shop on Christmas eve, I just can't bare the crazy crowds. So I've got my candles, wine, snacks, blankets, DVD's, tea and everything I need all here ready for my lovely relaxing evening with family, now just to decide what we'll order for dinner, it's usually a Chinese and has been since I can remember from years and years back, my mum would always get a Chinese take away on Christmas and along with my sister & I we'd sit around the TV, enjoying the food, playing games and having the perfect family evening. No doubt i'll have a short break from the movies and enjoy a nice relaxing bath with a Christmas Lush bath product, put on some new Christmas pjs which is also another tradition and get back to watching more films and eating more sweets before finally heading to bed for the exciting day tomorrow. I just want to take this opportunity to wish you all a very merry christmas, hope you are your families have a wonderful time celebrating and enjoy all the food. 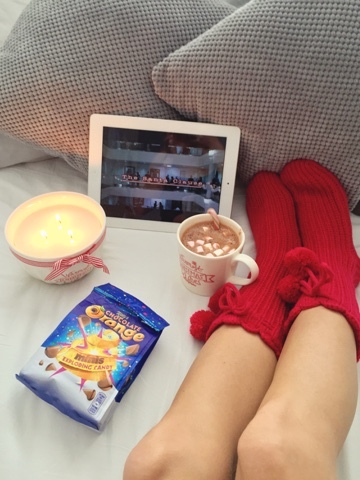 Your Christmas Eve sounds a bit like mine! Hope you have a lovely day and a great Christmas tomorrow!